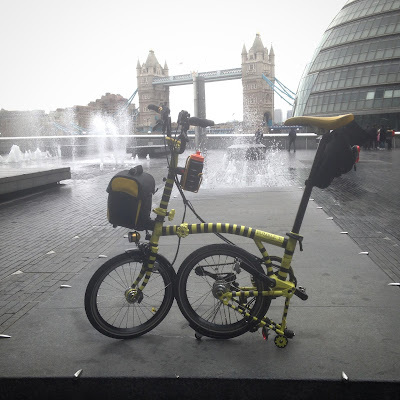 I heard about this brake light though the London Brompton Club and thought I’d give it a go. 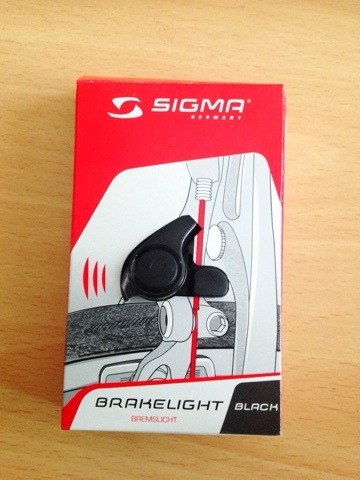 The tiny efficient BRAKELIGHT is suitable for all mechanical cable operated brakes. 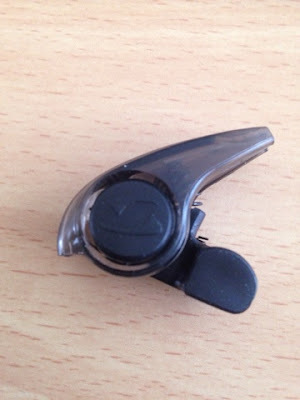 The product is equipped with a Good visible Red LED and is operated by the brake lever on the handlebar.Mounting of the BRAKELIGHT is done by an Hex screw clamping onto the inner cable of the rear brake.Fitment is possible to almost all cable operated brakes. The Sigma Brakelight illuminates when the bike's brake calipers close together, alerting anyone nearby that your bike is about to brake. Unlike my rear dynamo light that only lights up when the front wheel slows down. This could be a good thing especially if you have other riders behind you and want to give them a little more warning that you are slowing down and the rear dynamo may not register the braking til its too late. The light is water-resistant and is attached using an Allen key to the rear brake cable between the two brake calipers. It is compatible with any cable-activated mechanical rear brake. When the calipers are squeezed together while braking, the device acts like a switch completing a circuit which turns on the LED. 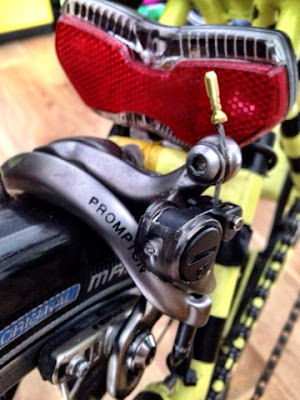 The Brompton brake calipers are a different design to most other bicycle brake systems as the cable doesn't enter from the top of the caliper but from the bottom. 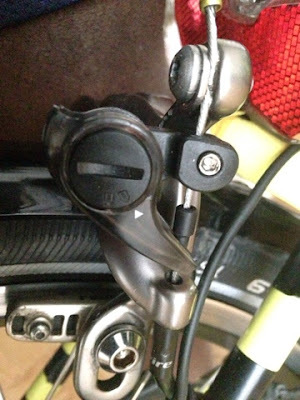 So to fit on a Brompton you have to install the Sigma Brakelight upside down to the instructions given. I am unsure if the water resistance accounts for this so I may put some tape over what is now the top of the light to ensure water doesn't get in and causes a short circuit. Here is a short video of the brake light in action. Also comes in green, blue & black (£9.99) with 1 X CR2032 battery. 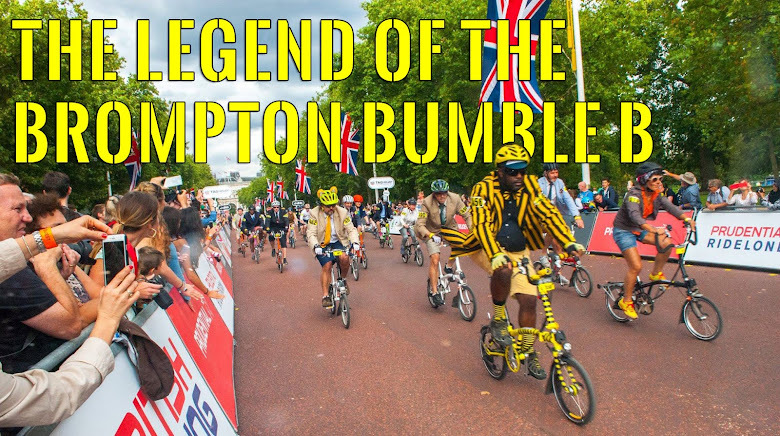 til the next ride, bee safe…..